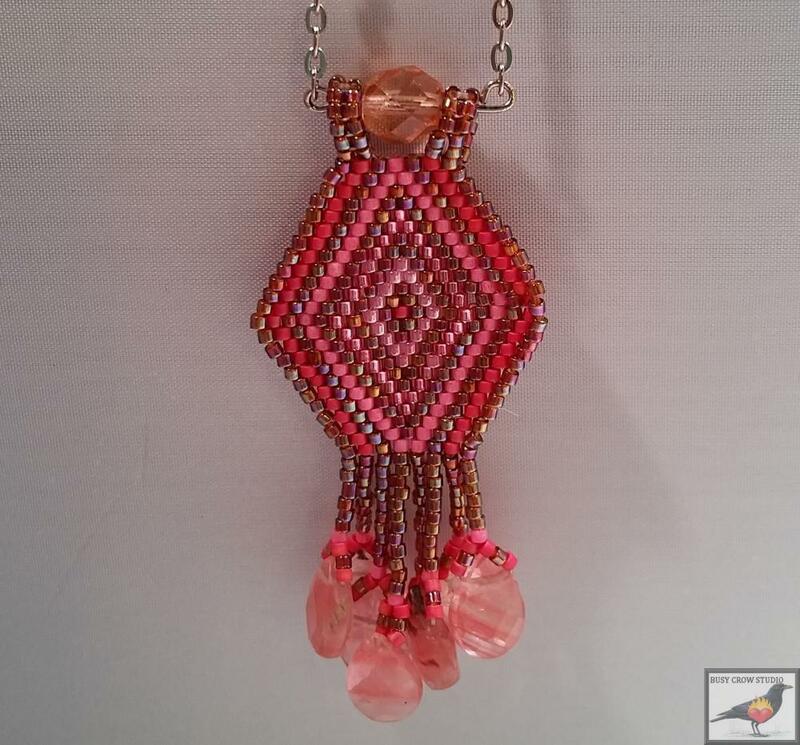 This pretty beaded pendant is inspired by the ‘Ojo de Dios’ traditional yarn weavings of South America. It is worked in Brick Stitch, and the fringe is embellished with small briolette beads. Note: There are two straps for the pendant, which are worked in Herringbone stitch.